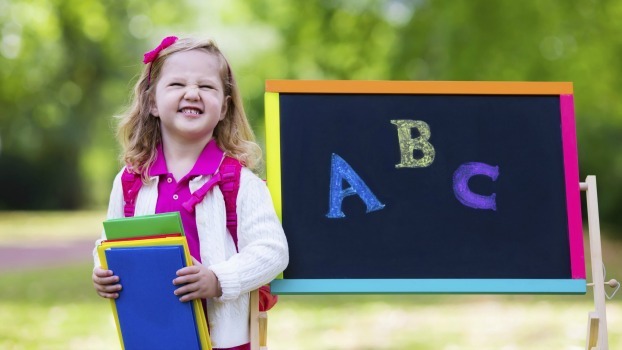 The first day of kindergarten can be a traumatic experience – especially for parents! While children often approach the day with a mixture of fear and excitement, parents see the day as a significant turning point and are often emotional. This mix of emotions puts kindergarten teachers in a peculiar situation. 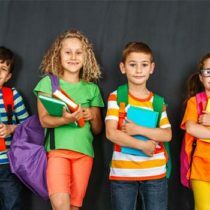 While they must prepare for the anxiety of their new students, they must also be able to address parental concerns and worries with finesse and reassurance. The ideas below will help ease first day jitters and start the school year off on the right track. It is almost unheard of for there not to be a Meet the Teacher night for kindergarten before the start of the school year. In fact, many schools also have kindergarten orientation that parents are required to attend. If your school does not have such a night, you may want to consider inviting parents and new students to come check out your classroom before the beginning of the year anyway. The simple act of seeing where they will be during school hours will ease parental and student anxieties. Create a class blog to post pictures of the classroom, explain beginning of the year procedures and daily expectations, and introduce yourself to your new students and their families. A class supply list, recommended reading list and other pertinent information can help ease anxiety. When you send out the welcome letter to new students during the summer, include the URL of the class blog and invite them to check it out. You can also include your school email address and invite them to email you with questions or concerns. 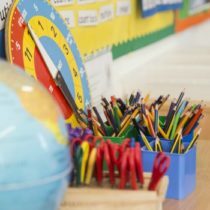 A recommended reading list for new kindergarten students and their parents will go a long way in preparing them for the first day of school. Books like the Miss Bindergarten series, as well as, the lovable Junie B. Jones series by Barbara Parks will make young children laugh and help them relate to the experiences of the characters. Books have a way of turning anxiety into anticipation and making the unfamiliar familiar. Include the list on your class blog, or if you are in a low income school, send the list out with a welcome packet. Keep in mind that not all students come from the same type of home life, and parental involvement and expectations will differ from household to household. A Welcome Packet can be sent to all households though, in an effort to bridge that gap and help all of your kindergarteners start out on the right foot. To create a Welcome Packet, use a colorful pocket folder and place activities, class expectations and papers that must be returned on the first day of school. Information about the reading list and class blog can also be included, if desired. While coloring pictures may not be the most academic activity, for some students that is all they can accomplish successfully at the start of kindergarten. Include those types of pages in the Welcome Packet and encourage them to bring them back for recognition. By praising what they can do at the beginning of the year, you build their trust, as well as, their parents’ trust of you. What do you do to help put students and parents at ease when starting kindergarten? Do you have a special night to welcome them back or a special packet that gets sent out during the summer? Leave a comment and let us know or comment on the Really Good Teachers Forums! I love welcome packets and have always done them since I started teaching. I find it easier to have all the things needed organized for the parents. I have been thinking about a blog for about a year now. I just don’t know if the parents will really use or look at it. Plus I’m a little nervous about placing pictures of other peoples children on the net. Any suggestions? I teach pre-K but my idea would work for Kindergarten, too. 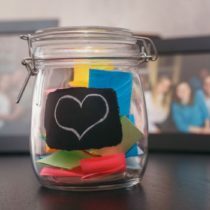 I send home a brown paper bag with a note on it saying “What’s my bag?” The kids bring something that shows us: their favorite color, favorite snack (empty package), favorite toy- photo ok, their family (photo) and something that represents what they would like to learn about this year. The children love sharing their bags, we learn alot about each other (yes, I take one too) and I often end up with new ideas for centers or themes based on THEIR interests! The whole family enjoys making this project. This is a great idea. While I’m not teaching Kindergarten, it would be fun to have a back-to-school grade reading list. There are books written about students in other grades, too, and it would help ease anxiety about the first day of school each year. One of my favorite books to read on the first day of kindergarten is “We Share Everything” by Robert Munsch. The kids laugh and laugh when they think of sharing EVERYTHING! I also read “Miss Bingergarten Gets Ready for Kindergarten”. For the first couple of weeks I read stories about starting school. We invite our incoming Kdg. to our Spring Fling in May with an open house of their classrooms. Then before school begins in the fall we have an Ice Cream Social. Students get to come to the rooms, meet teachers without the pressure of the first day. It eases a lot of tension on the first day. I have been a Kindergarten Teacher for 4 years and the beginning of school is always the one met with most trepidation. My school district does a “jumpstart” where the students come in for 4 half days (we are a full day K) two weeks before school starts. This is a great introduction to our school and starts the routines early. Our PTSA is going to try a “kiss and cry breakfast” for the parents after they drop their kids off – they will go to the cafeteria for donuts and support. I’m hoping this goes well! This will be my sixth year of teaching kindergarten, and the first day of school is always the most stressful day of the year. It is impossible to fully prepare for the reaction the children will have. We do have a back to school night, but I find that the parents get very overwhelmed with the amount of information we are required to go over with them. In order to help them remember what I talked about I make a packet of the ABCs of Kindergarten. I got this idea from a website a couple of years ago. Under each letter I list and explain different parts of school. For example under the letter A I explain attendance requirements, absence procedures, and arrival procedures. Parents can reference this packet throughout the year. The parents normally are the most nervous about their child starting school. Reminding them to keep their emotions in check around the children also seems to reduce the child’s fears. You wouldn’t believe how many parents cause their child anxiety by telling them how much they are going to miss their child or how sad they are that the child is starting school. I tell the parents that once they get back to their cars they can cry all they want! 🙂 Another post mentioned reading “The Kissing Hand”. I also love reading this book on the first day of school and doing activities to take home for the parents. These are wonderful ideas! I am a first year teacher in kindergarten and I am very nervous about the first day of school. I am glad that these tips were posted and I am going to make a welcome packet to give the parents at meet the teacher night. 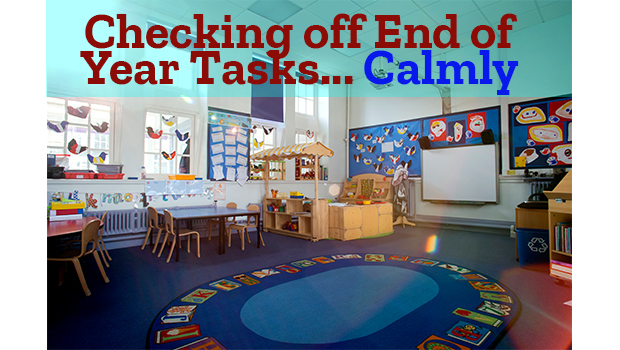 As a special education teacher, and now a parent of a kindergartner, these ideas are great. I am starting a new set of students in my special education class, and we have already had many parents request to come and see the classroom. At our school, we have “Back to School Night” on the first day of school–it was suggested by a kindergarten teacher! It allows parents to see the classroom and meet the teacher right away! And teacher’s don’t have to stay late! Our parents love it…and so do our teachers! As a parent, I like to know as much as I can about my child’s day. So, as a teacher, I try to have my Beg. of Year (newsletter) letter ready and on student’s desks for the day of Open House (Day you meet the teacher). That way, parents can take it home and read through it before the 1st day of school. I try to include FAQs, class schedule, snack reminders, and info. on curriculum. I feel that it eases parents minds to know as much as they can before “letting go” of their little ones. ? I teach in a county where the students do gradual entry. First the parents come for conferences over 2 days. Then half the class comes for a day and the other half of the class comes the next day. Then the whole class comes on Friday. This eases everyones anxiety about school. I also send a post card to all my students before school starts! I love when they come in and say my teacher sent me a note in the mail and they don’t realize that it was me! I try to explain that but some of them just don’t understand that concept!! We have a few days before the school year begins to call in parens/ students and invite them to come and see the classroom and meet their new teacher. I love this time of year and getting to meet all my new families. I also send home a packet with info on who I am, a supply list, school expectations, etc. In the packet I include a “welcome to Kindergarten” surprise. This year it will be a set of magnetic letters ($1 online) and an alphabet arch. Kindergarten is the best because we get to make their first introduction to school a great experience! I read “The Kissing Hand” by Audrey Penn on the first day of Kindergarten each year. After a discussion about Chester’s feelings, the students make their own kissing hand by tracing their hand and placing a red heart sticker on it. The kids are always so excited to bring it home to their parents and retell the story. Parents love it, too! I miss teaching Kindergarten and Pre-K. I teach fifth now. Its great to get the big kids involved with the little ones. We have a buddy class that we work with as reading buddies and as buddies whenever we have things like Book Fair and Santa Shop. The kids pair up and really develop good relationships! This also has the big kids feeling responsible and they look out for their little one!